The Bucas Power Cooler is a high performance, light weight multi-purpose rug that is ideal as a sweat rug, travel rug, competition and light stable rug. 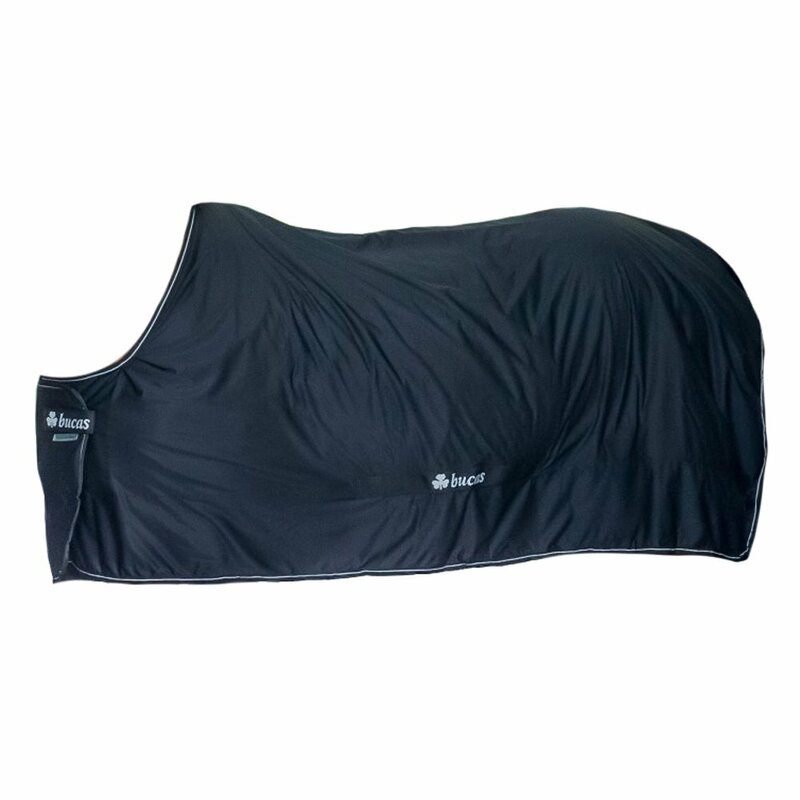 The Power Cooler is made from a single layer of Stay-Dry fabric which wicks moisture away from the body and ensures that the horse is always dry. The low friction outer minimises the amount of bedding material that sticks to the rug and the shoulder darts in the neckline ensure plenty of room at the shoulders. The Bucas Power Cooler has an overlap front to provide protection for the chest and ensure comfort at all times.